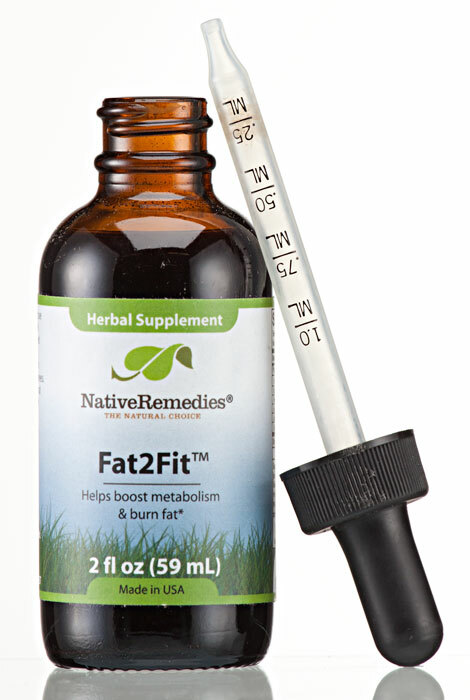 NativeRemedies® Fat2Fit™ - 2 oz. 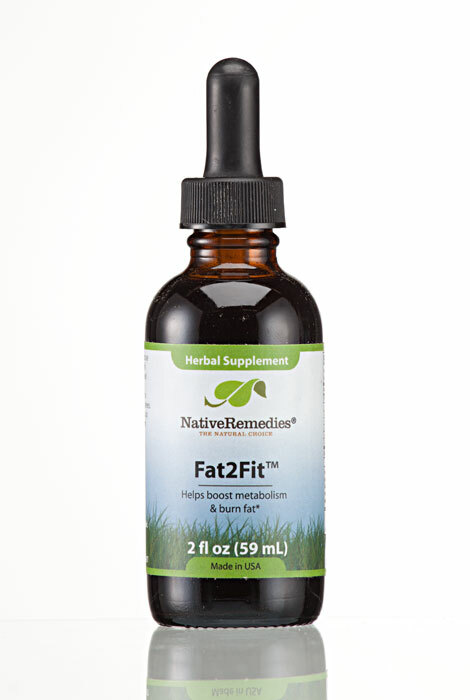 Fat2Fit is a safe, non-addictive, natural herbal remedy that has been specially formulated to support a healthy metabolism and provide additional support for slimming programs. Presented in a concentrated tincture formula, Fat2Fit works to support existing healthy metabolic rate and thyroid health. In addition, it is formulated with a blend of herbs known to support energy and stamina, for added ease when beginning or enhancing an exercise routine. All Native Remedies homeopathic products and biochemic tissue salts are manufactured in an FDA-registered and cGMP-compliant facility under the supervision of qualified homeopaths and responsible pharmacists. Individual ingredients are listed in the Homeopathic Pharmacopoeia of the United States (HPUS). Fat2Fit contains the following ingredients in therapeutic dosage: Green coffee bean extract, Guarana, Iodine, Gotu kola, Ashwagandha, Kelp. Dilute drops in a small amount of water or juice. Adults & Children 15+: Take 1 mL 2 times daily. Special Instructions: Continue for approximately 3-4 weeks. Course may be repeated after a week of rest. One bottle of Fat2Fit will last approximately 30 days depending on dosage and frequency of use. 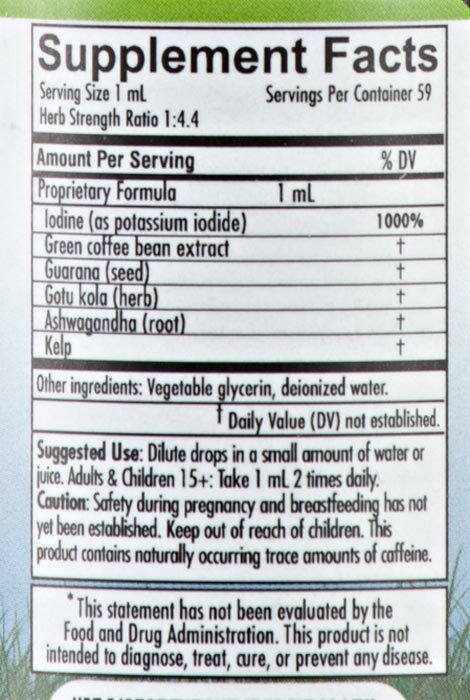 Caution: This product contains naturally occurring trace amounts of caffeine. Not recommended for those with autoimmune or hypothyroid conditions. Long-term use without a rest period every 3-4 weeks is not recommended. If pregnant or breastfeeding, ask a health professional before use. If symptoms persist or worsen, consult a health care professional. Keep this and all medicines from the reach of children. People can differ widely in their response times to natural remedies depending on individual makeup, lifestyle and diet. Some may experience a general feeling of wellness within days, while for others it may take longer before an effect is felt. Often, as in the case of all good tonics, a gradual improvement is felt over time. Best results are achieved when it is used consistently along with a healthy lifestyle.